The Dream Bear is a vision to behold! 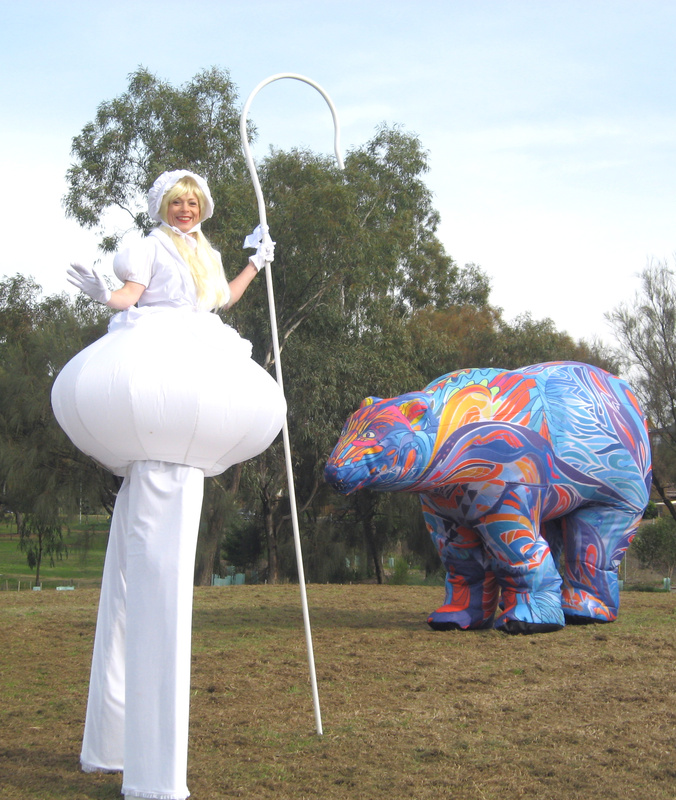 An amazing 320cm long and 200cm tall, the Dream Bear is a fusion of colour and vibrancy. He ambles along while his comically engaging chaperone entertains the crowd. 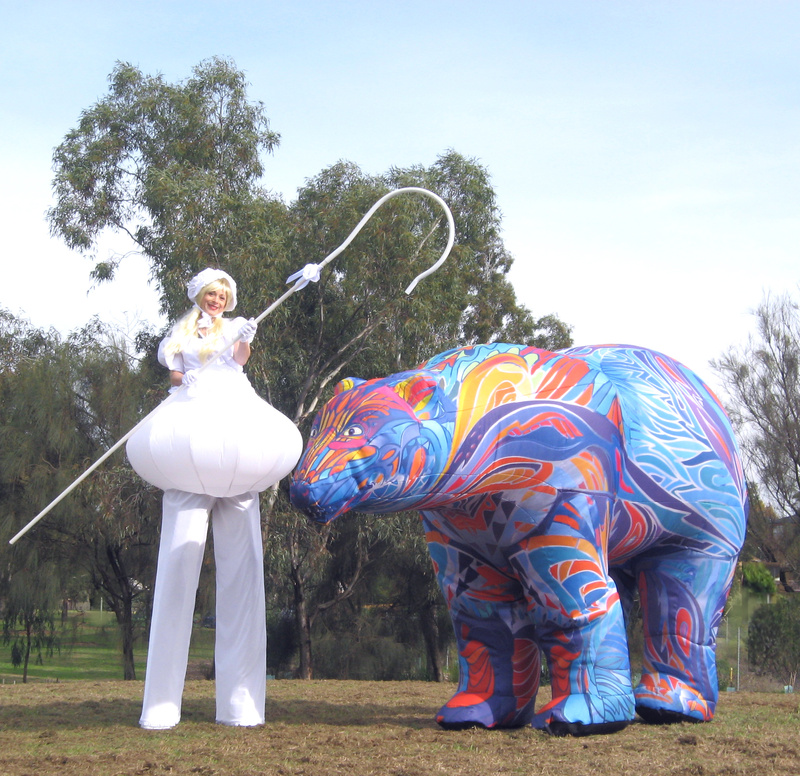 A psychedelic spectacle for day time performances, this roving act is even more breath-taking at night when the Technicoloured Dream Bear illuminates to give an iridescent glow. The size and multi-colours of the Dream Bear astounds people while his chaperone keeps them entertained. Together they create a bright air of festivity.